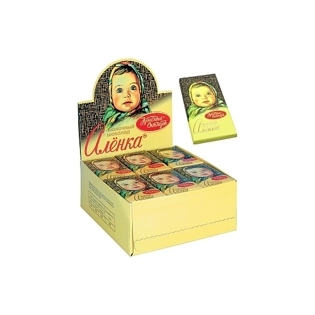 Milk Chocolate Alenka 100g - Russian Food Online Shop "Babushka"
In 1960, photo correspondent Alexander Gerinas photographed his eight-month-old daughter Lena. 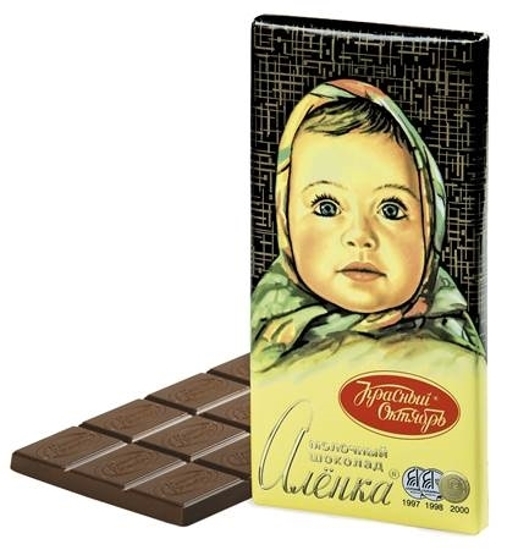 A picture of a brown-eyed girl in a motley kerchief first appeared in the magazine "Soviet Photo", and then decorated the first issue of the magazine "Zdorovie" for 1962. 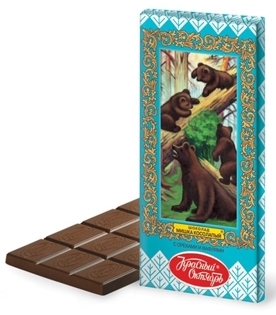 In 1964, Soviet confectioners at the Moscow factory "Red October" was razrayuotana recipe chocolate with a characteristic creamy taste. 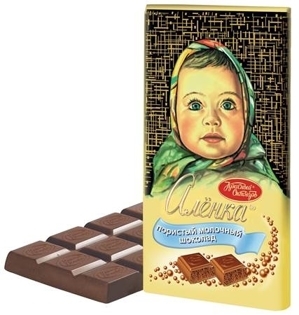 Very tasty milk chocolate, with a pleasant aftertaste.